You're invited to the City and Regional Planning Department's Mixer in San Francisco on Monday, April 15, 2019. Click here for location and details. 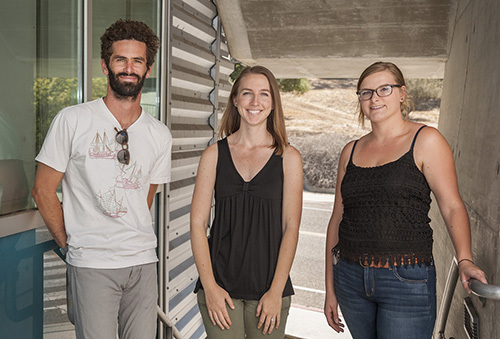 A group of Cal Poly graduate students is helping draft Oceano’s new general development plan. One Cal Poly professor says Oceano hasn’t updated its general plan since the 1990s. General plans guide how and where communities should develop. They are required by state law. “It’s supposed to be based on broad community support, not to be influenced by one person or a group of people. What is the aspiration of the broad mass of the people? said Cornelius Nuworsoo, a Cal Poly professor. Students are drafting a plan for Oceano for their yearly project. See the complete story and video on KSBY TV. These are findings from a ten-week concept design effort to develop pre-planning insight, urban design concepts and development strategy for the City of Newark's Old Town. The design concepts focus on the Thornton Avenue Corridor between Cherry Street to the East and Ash Street to the West organized into five blocks integrated by street-scape design. Phase one involved the review and detailed investigation of existing regulatory and design factors underlying the site area including analysis of planning documents and the implications of regulations for site development, individual lot survey and documentation of lot conditions, and interviews and surveys of community members and business related individuals in the area. 1. The Historic theme featuring concepts that reinforced the underlying historic significance and character of the site. 2. The Design theme featuring investigation of architectural styles and mix that would complement the existing buildings on the site. 3. The Housing theme featuring investigation of optimal capacity in the project area to develop a mix of housing unit types to address housing demand. All three concepts plans were accompanied by a redesign of Thornton Avenue streets-cape to accommodate multi-modal traffic, implement a road diet to bring down vehicle speeds and to create a “bikable” and pedestrian friendly environment. These concept plans were presented to the community. Comments and suggestions that were received informed the final concepts. Phase three involved envisioning urban design futures for five discrete block-segments of Thornton Avenue. The five segments focused on: 1. Developing a rich and diverse housing mix; 2. Creating a central plaza and performance space for community events as the center of Old Town surrounded by commercial retail with housing above; 3. Designing a Hispanic-themed Mercado complex to support a diversity of retail and services; 4. Outlining a courtyard residential block at an urban scale, and; 5. Designating a civic area gateway to Old Town featuring a library, outdoor recreational spaces, patio and dining areas, housing and gateway features on the street-scape. Two CAED students (one from Landscape Architecture and one from City and Regional Planning) were involved in an award-winning project through Walt Disney Imagineering. Click here to view full article, download the Symposium Program, and Register for the event. Students in a city and regional planning studio course created award-winning land use and urban design proposals for two sites in the city of Milpitas, California. Praised for innovation, creativity and feasibility, the plans blended historical and existing structures in Milpitas with the city's multicultural population and added elements of walkability and commerce yielding a youthful design that is attractive to young professionals and families alike. This case study illustrates how students' on-the-ground work helped solidify theoretical planning concepts learned in other classes. On September 5, 2017, the City Council unanimously adopted the new Downtown Concept Plan to replace the existing plan. 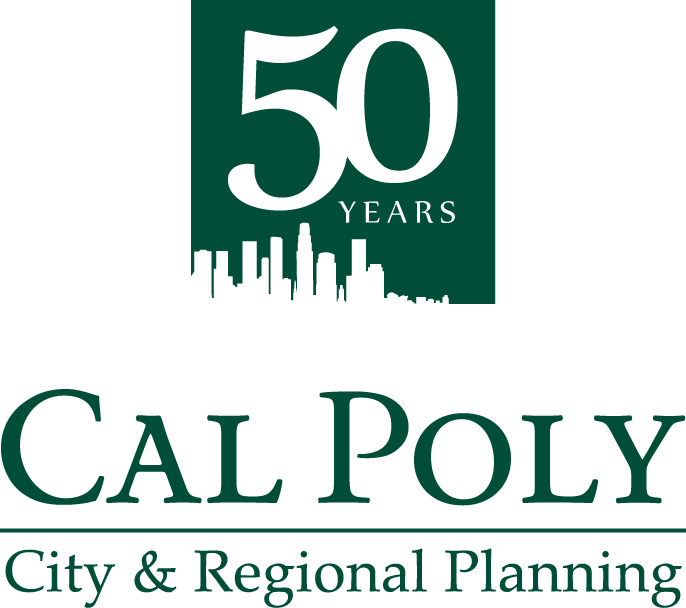 The project is replete with members of the Cal Poly City & Regional Planning (CRP) family. The original 1993 plan was prepared by five notable local architects and planners. One of these was former city council member and the first director of the Cal Poly CRP program, Professor Ken Schwartz. Ken was involved in the update as a member of the Creative Vision Team for the project. The update of the Downtown Concept Plan was lead by the City’s Community Development Department, headed by Michael Codron (MCRP ’98). The city appointed a Creative Vision Team that included Chuck Stevenson (BSCRP ’74), Jaime Hill (MCRP ‘06), Annie Rendler (BSCRP ‘04), and faculty member Dr. Vicente del Rio. The city hired Michael Baker International (MBI) to support the project. The MBI team was lead by Loreli Cappel (BSCRP ’00) with Amy Sinsheimer (MCRP ‘04) and Chris Read (MCRP ‘11). Faculty members Dr. Michael R. Boswell and Dr. Billy Riggs also worked with the City and a group of CRP students to assist on public engagement with their restreet.com tool. The Downtown Concept Plan was reviewed by the City Council and several city advisory bodies including the Planning Commission. The Planning Commission includes faculty member Dr, Hema Dandekar. We are very proud of all the Cal Poly alumni, faculty, and students who worked to make the City of San Luis Obsipo and even more wonderful and well-planned city. Cal Poly’s City & Regional Planning Department, in partnership with the Governor’s Office of Planning and Research (OPR), hosted the third California Climate Action Planning Conference on Thursday and Friday, Aug. 24-25, 2017. Over 240 climate and energy professionals from around the state attended the conference including Cal Poly students and faculty. The conference featured leaders in the field and an in-depth focus on greenhouse gas emissions reduction and climate adaptation at the local and regional level. In addition to Mr. Alex, City of San Luis Obispo Mayor Heidi Harmon and the Chief of Energy and Sustainability at the California State University Chancellor's Office, Aaron Klemm, also provided opening remarks for the conference. Dr. Michael R. Boswell and Dr. Adrienne Greve are the conference organizers and continue to position Cal Poly as a leader in educating future climate professionals. In addition, they have assisted numerous local and state agencies in the preparation of climate actions plans and other technical plans for addressing the climate crisis. Often these projects involve students who are able to gain hands-on training in the field. Several graduates of the program presented at the conference and are now demonstrating their leadership. Event sponsors included PlaceWorks, PG&E, Bay Area Air Quality Management District, SoCalGas, ICF International, San Luis Obispo County Energy Watch, Ascent Environmental, Resources Legacy Fund, and Raimi & Associates. The town of Weed, CA lost many of its affordable homes in the 2014 Boles wildland urban interface (WUI) fire. Faced with economic and recovery challenges, this town of 3,000 people in Siskiyou County needed help. It needed a plan and a vision to recover. In 2017, new housing was designed and prototypes were built by students in the College of Architecture and Environmental Design. Townspeople now look forward to workforce homes they can afford. How did all of this come about? In 2015, the City and Regional Planning Department’s graduate community planning studio partnered with the town of Weed to prepare a General Plan (GP) update. Eleven students from the master of city and regional planning class, under the guidance of Professor Cornelius Norwursoo, prepared the plan. This update helped Weed apply for state and federal funds, but most importantly it established a vision for the future, and a path to recovery and reconstruction. A set of focused project plans (e.g. trails, main street design, local hazard mitigation) were also prepared in 2016 as part of an advanced studio taught by Professor William Siembieda. Along with the GP a separate Resiliency Plan (RP) was prepared with the support of Great Northern Services (GNS), a local NGO, and Thomas Brandeberry from the Rural Community Development Corporation of California. The RP was a first for a small California town. Housing for townspeople is an important need for Weed. So how then does Weed get new housing for working class people? The answer was to continue to use expertise in the College of Architecture and Environmental Design for the design and building of housing. Using the work completed by the planning studio and the local network it established, a CAED integrated project delivery (IPD) studio was organized in 2017. The students designed a seven lot subdivision and built prototype housing at Cal Poly, which can be replicated at the subdivision. GNS is the project client. An added component of this effort is that the local College of the Siskiyous in Weed could use its construction students to build the houses locally. The IPD studio is run by Professors Greg Starzk from Construction Management, Maggie Kirk from Architecture, and Dennis Bashaw from Architectural Engineering. Some 40 students get hands on experience through participation in this course. This CAED-Weed partnership is a model of applying learning in the classroom to the practice of improving the lives of people.